A four storey red brick former warehouse building designed by James Hanna. The site was previously occupied by residential properties built during the 1870s and demolished c.1906. When completed c.1910 the current building formed part of a larger linen warehouse complex occupied by the Bruce Street Weaving Company and Robert McBride & Co. Ltd (had traded from 11-15 Bruce St since at least the 1870s). 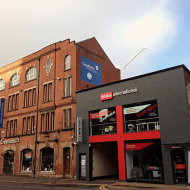 Robert McBride & Co. Ltd and the Ulster Manufacturing Co. Ltd continued to trade from the building until at least the 1960s. The building is one of only two that remain following clearance of Bruce Street in 1986 to facilitate the construction of the inner ring road. 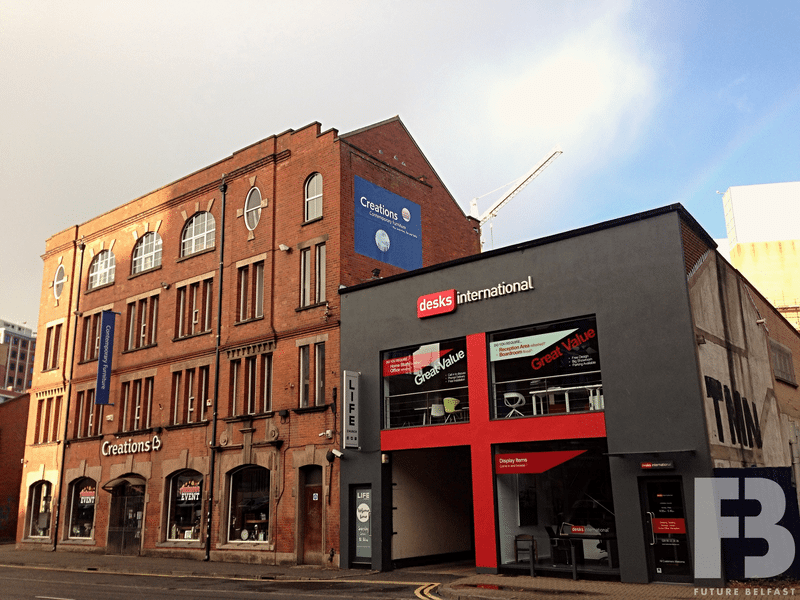 Creations Interiors Ltd acquired the former warehouse building and converted the ground and first floor to a furniture showroom during 1993. The showroom was extended into the upper floors during 1996. Creations Interiors closed their furniture shop at Bruce Street on 2nd June 2018 and relocated to Boucher Road. The vacant building is being marketed by Cushman & Wakefield. Andras House and Philip Rodgers Design submitted a planning application (LA04/2018/2170/F) in August 2018 proposing to change the use of the vacant building from retail to office use.